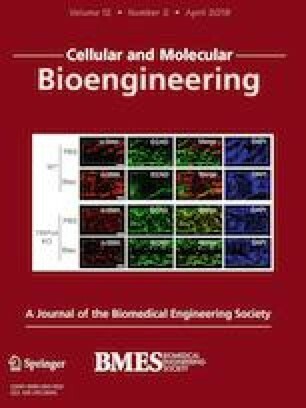 The implantation of biomaterials into soft tissue leads to the development of foreign body response, a non-specific inflammatory condition that is characterized by the presence of fibrotic tissue. Epithelial–mesenchymal transition (EMT) is a key event in development, fibrosis, and oncogenesis. Emerging data support a role for both a mechanical signal and a biochemical signal in EMT. We hypothesized that transient receptor potential vanilloid 4 (TRPV4), a mechanosensitive channel, is a mediator of EMT. Normal human primary epidermal keratinocytes (NHEKs) were seeded on collagen-coated plastic plates or varied stiffness polyacrylamide gels in the presence or absence of TGFβ1. Immunofluorescence, immunoblot, and polymerase chain reaction analysis were performed to determine expression level of EMT markers and signaling proteins. Knock-down of TRPV4 function was achieved by siRNA transfection or by GSK2193874 treatment. We found that knock-down of TRPV4 blocked both matrix stiffness- and TGFβ1-induced EMT in NHEKs. In a murine skin fibrosis model, TRPV4 deletion resulted in decreased expression of the mesenchymal marker, α-SMA, and increased expression of epithelial marker, E-cadherin. Mechanistically, our data showed that: (i) TRPV4 was essential for the nuclear translocation of TAZ in response to matrix stiffness and TGFβ1; (ii) Antagonism of TRPV4 inhibited both matrix stiffness-induced and TGFβ1-induced expression of TAZ proteins; and (iii) TRPV4 antagonism suppressed both matrix stiffness-induced and TGFβ1-induced activation of Smad2/3, but not of AKT. These data identify a novel role for TRPV4-TAZ mechanotransduction signaling axis in regulating EMT in NHEKs in response to both matrix stiffness and TGFβ1. Associate Editor James L. McGrath oversaw the review of this article. The online version of this article ( https://doi.org/10.1007/s12195-018-00565-w) contains supplementary material, which is available to authorized users. Startup grant from University of Maryland, NIH (1R01EB024556-01), and NSF (CMMI-1662776) grants to Shaik O. Rahaman. SS and SOR conceived the study, designed and performed the experiments, and wrote the manuscript. RG assisted with experiments and analysis of data, and maintained the animal colony. All authors reviewed the results and approved the final content of the manuscript. Shweta Sharma, Rishov Goswami, and Shaik O. Rahaman declare that they have no conflicts of interest. The study protocol was approved by the University of Maryland Review Committee, and all experiments were performed in accordance with the IACUC guidelines.